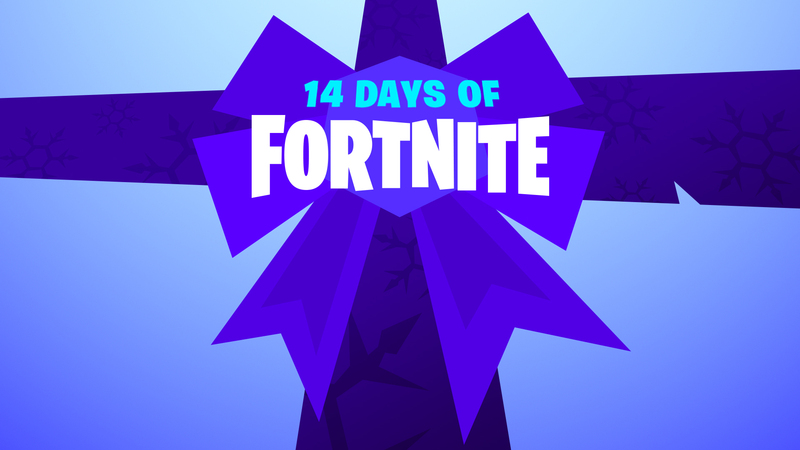 We communicated an incorrect end date for the 14 Days of Fortnite event and did not feel the Equalizer Glider compensation was the right approach. After further discussion, we’ve decided to bring back this event early next week through January 15 at 3 AM ET(0800 UTC). We’ll also be enabling some of the most popular Limited Time Modes that were available during the event. Players who were unable to complete those Challenges will be able to earn all of the rewards they may have initially missed out on. All Challenges will be available to complete for the entire duration of the event. Unfortunately, progress on partially completed challenges has to be reset. Thanks so much for your patience and understanding! © 2019, Epic Games, Inc. Epic, Epic Games, the Epic Games logo, Fortnite, the Fortnite logo, Unreal, Unreal Engine 4 and UE4 are trademarks or registered trademarks of Epic Games, Inc. in the United States of America and elsewhere. All rights reserved.